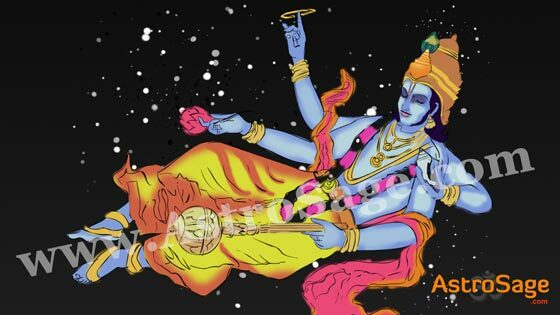 AstroSage Magazine: Ashadhi Ekadashi today, know why Lord Vishnu sleeps? Ashadhi Ekadashi today, know why Lord Vishnu sleeps? Don't miss the chance to please Lord Vishnu! Make use of the Ashadhi Ekadashi as the golden opportunity to appease Lord Vishnu and obtain his blessings. Also known as Devshayani Ekadashi and Maha Ekadashi, the Ashadhi Ekadashi refers to the 11th day of the Shukla Paksha (brighter fortnight) during the month of Ashadh. The day holds immense importance from the religious perspective. According to the scriptures, it is believed that it is on this day that Lord Vishnu starts his slumber in the Kshir Sagar. The slumber continues for 4 months (Ashadha, Shravana, Bhadrapada, and Ashwin). For the Divinity is asleep for the next 4 months starting from this day, devotees make use of Ashadhi Ekadashi to please him by observing a fast and venerating him. It is believed that whosoever follows the rituals with unfaltering devotion is blessed by Lord Vishnu himself. Therefore, there is a zeal among the devotees to utilize this day and obtain divine blessings. The Puja and Vrat (fast) observed by devotees are the highlights of the Devshayani Ekadashi. These are done in accordance to the given rituals given in holy scriptures. The concluding of Ekadashi Vrat is known as Parana. According to the rituals, the fast is concluded on the next day of Ekadashi after sunrise. It is important to conclude the fast before Dwadashi (12th day of the month). Note: The above time is for New Delhi (India). Click here to know the Muhurat for your city. Clean your house, and purify it by sprinkling Gangajal. Install the idol of Lord Vishnu on the Puja altar, and worship him according to the Shodashopachara (16 rituals). After performing the Aarti, distribute the Prasad. In the end, let Lord Vishnu sleep on a soft pillow. Know the vrat rituals and Puja vidhi for Ashadhi Ekadashi in detail. The Puranas shed light upon the importance of Ashadhi Ekadashi. It is a perfect time to please Lord Vishnu and obtain his choicest blessings. The beginning of the slumber period of Lord Vishnu also marks the onset of Chaturmas (4 months), during which no auspicious activity is performed. After falling asleep and completing his slumber period, Lord Vishnu wakes up after 4 months, ending the Chaturmas. This day is known as Prabodhini Ekadashi or Dev Uthani Ekadashi. At AstroSage, we hope to have enlightened you with the importance of Ashadhi Ekadashi and wish that you make the best out of it.